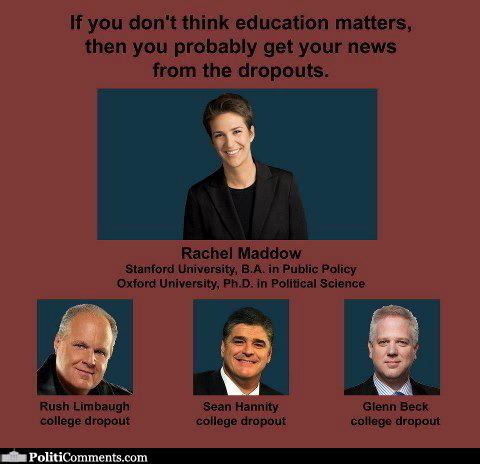 Rachel Maddow: Sanford University B.A., Oxford University Ph.D. in political science. He enrolled in Southeast Missouri State University but left the school after two semesters and one summer. According to his mother, "he flunked everything".